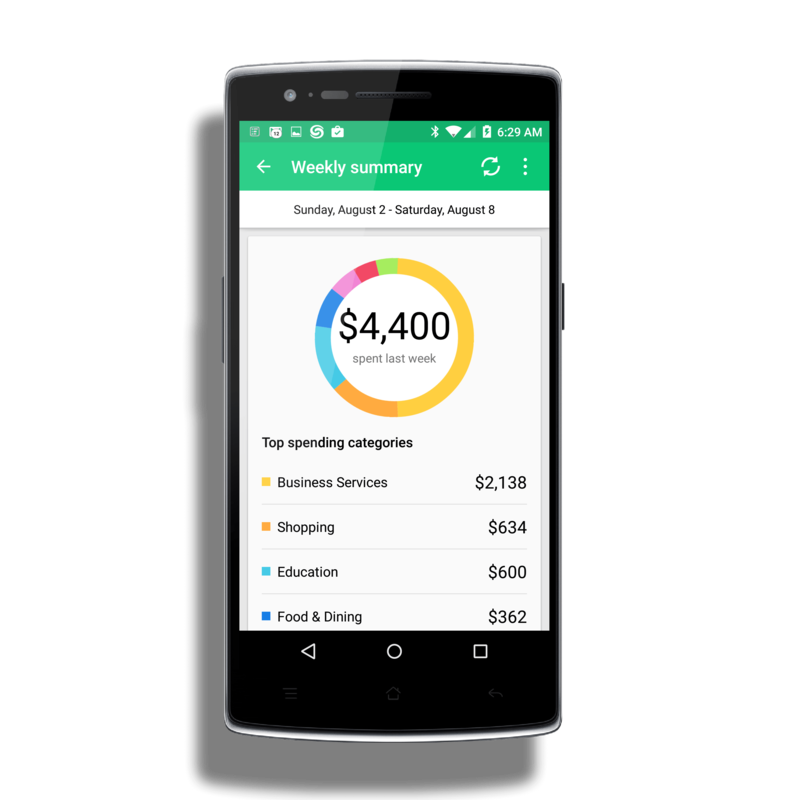 The personal finance, Mint for Android, has received another minor update that brings with it a new Weekly Summary Page. If you aren’t familiar with Mint for Android, it is designed by Intuit, the same folks behind Quicken and Quickbooks. Mint is for personal finance, allowing you to quickly add your banking, credit card, loans and investment accounts to the service which allows you to quickly and easily track them as well as your budget and spending. This latest update, build 4.3.4 for those keeping score at home, is available now in the Google Play Store. To use the app and service, you will need a Mint account which is free & you can sign up for it within the app itself or on the Mint website. The new Weekly Summary Page in Mint for Android is somewhat self explanatory. Each Sunday your weekly top spending categories, where you made your most purchases and on what days you you spent the most money will all be displayed for you in a single page within the app on your Android phone or tablet. The idea of course is to show you where your money is going so you can adjust habits or budgets as necessary. Every Sunday you will get a push notification from the Mint app on your phone or table to let you know that your summary is available. Beyond this new feature, there isn’t anything new in the Mint for Android app. The bulk of the big updates came a few weeks ago when an improved layout for tablets was released along with Material designs for both the phone and tablet versions of the app. That release also brought improved card management.